A RECORD-breaking dive champion has drowned at a popular spot off the coast of Egypt while trying to help a fellow swimmer. Stephen Keenan, of Dublin, has been described as a “hero” and “guardian angel” by pals following his death in the Red Sea at the weekend. The 39-year-old died on Saturday while freediving at the Arch of the Dahab Blue Hole — a world-famous dive site. 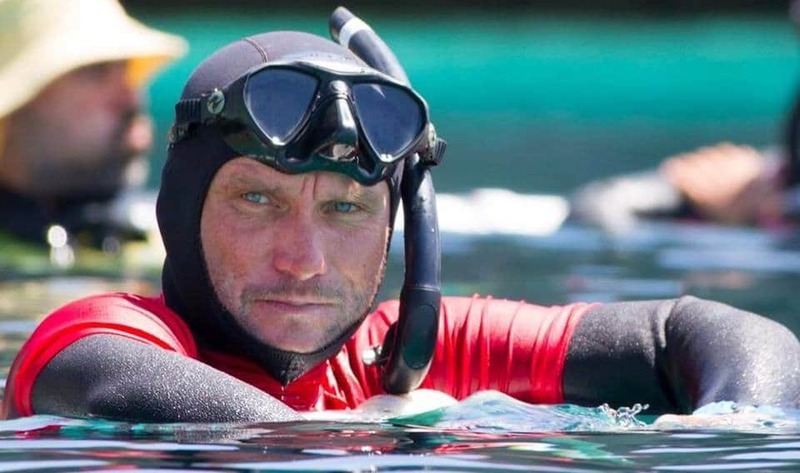 It is understood he was providing safety cover for a female freediver who was attempting to dive the arch when he suffered an in-water blackout. The Arch, a 26metre-long (85ft) tunnel in the Dahab Blue Hole at a depth of 56m (184ft), is considered challenging due to its depth and the requirement for distance swimming. Stephen had been active in the freediving community since 2009. He went on to co-own Dahab Freedivers — described as one of the world’s most dynamic freedive schools — as well as set a number of Irish National Records. Stephen was a qualified instructor-trainer and had coached hundreds of divers in the Gulf of Aqaba, Spain, and the Philippines. Sport insiders revealed he was best known for his role as Chief Of Safety for a number of the Vertical Blue Freediving Competitions, as well as regularly providing safety at freediving competitions across the world. He was hailed as one of the best “guardian angels” a racer might wish to have during a record attempt. Among the last photographs of the popular thrillseeker, Stephen told of his excitement at hitting the Blue Hole Dive site. He uploaded a snap of himself to Facebook last week with Freediving World Champion Alessia Zecchini and Mohammed Frag. Heartbroken Alessia and Mohammed were among those who have paid tribute to Stephen. Grieving Mohammed described Stephen as “one of the most beautiful characters and friends who lived with us in Gold City”. A spokesman for the Department of Foreign Affairs ­confirmed they are aware of the case and are providing consular assistance. A third said: “I feel orphaned my coach. An honest, hardworking, passionate guy, totally committed to sharing an unrivaled sport. “We all lose a friend, an interested blue look, a bright smile, an incomprehensible Irish accent. “Stephen Keenan, thank you for taking care of me and everyone at Dahab Freedivers and Dahab. “Thank you for your sense of abnegation, it means a lot for all.